Grab a copy for yourself! 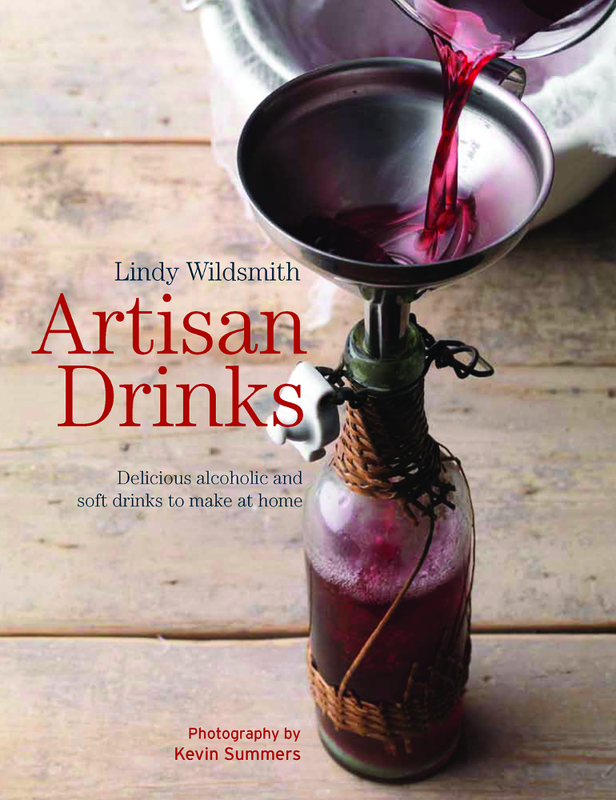 I know that they say “don’t judge a book by its cover,” but as soon as I saw the cover of Artisan Drinks by Lindy Wildsmith, I knew I wanted to read it. I mean, just look at it! Luckily for us all, this book offers much more than just a pretty face. My regular readers know that I am…ahem…quite keen on making cordials, meads, wines, teas, and all other sorts of yummy drinks. Most of them alcoholic! One portion of this book that particularly intrigued me was the idea of a non-alcoholic cordial. As far as I had understood the term, a cordial recipe generally contained alcohol of some kind or another in order to preserve the drink for storage. It turns out that you can made a cordial with no alcohol. What?! There are methods to preserve the alcohol-free cordials with pasteurization, something I’ve never done, but I will definitely give it a try. Lindy is a masterful chef and educator of fine cuisine, but her writing is beyond accessible to any reader. She skillfully demonstrates the methods and techniques that typify each kind of drink and weaves it all together in a conversational tone that eases the mind and increases the confidence of someone just starting out in crafting their own homemade beverages. Once she covers everything from cordials, sparkling drinks, country wines, beers, ciders and perries, liqueurs and teas, Lindy leads you through using these delectable tipples in cocktails and “mocktails” suitable for any gathering. I love this book, and it has definitely broadened my definitions and made me reconsider many of my standard (rather lazy) techniques. If you feel that you need a boost to get you going in crafting seasonal drinks in your home, please give Artisan Drinks a try! I received this book from Quarry Books for this review. ← Milkshakes for Breakfast?! YES!